Looking back over my list of Books Read in 2012 I am surprised by how much difficulty I seem to have had in recording my thoughts for the books I enjoyed the most. Of the twelve books on my favourite of 2012 list, I was only able to put thoughts to paper (or screen, as the case may be) for five of those. My books choices this year were completely delight-driven and in no way reflected any sort of reading scheme. As a result I discovered a great many new to me authors who have impressed and thrilled me. Other than Elizabeth Gaskell and Margaret Laurence the authors on this list are all new to me, and I will be searching out their other titles for future enjoyment. Having only ever read one of Margaret Laurence's Manawanka series (The Stone Angel), I decided I needed to get with the game. I loved the character of Morag Gunn - her resilience and tenacity. I loved the breadth and scope of the work as Morag changes and matures. I am now a devoted Margaret Laurence fangirl. The character of Rachel and her internal dialogue are the two aspects of this story that really resonated with me. Every summer on our drive to the cottage I stop at Margaret Laurence's home - now a museum - in Neepawa, Manitoba (the town upon which Manawanka is based). It has never been open, but I always stop and admire the building. 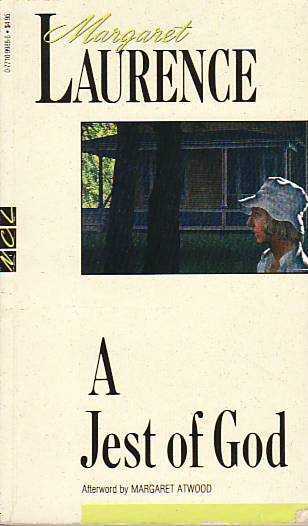 When I read A Jest of God, I felt that the setting was very real to me, as that was Rachel's home in the novel. Read it. It is brilliant. After getting to know Rachel and Mrs. Cameron, I was fascinated to get to know Stacey, Rachel's sister who lives with her husband and children on Canada's west coast. Stacey is mentionned in Margaret Laurence's other Manawanka books, but her life is not exactly as it appears in her letters home. 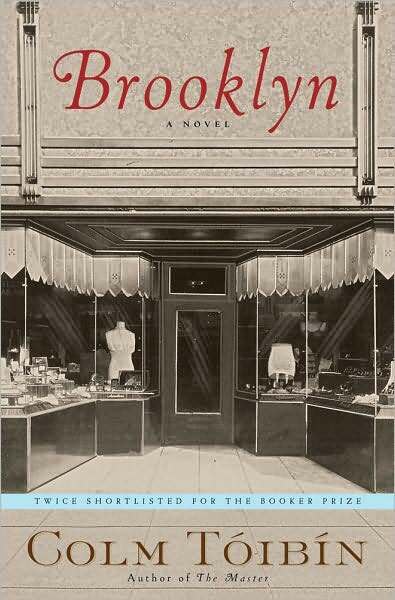 Breaking free from her stifling role as a housewife in 1960s Vancouver is just one of the manifestations of the themes of liberation in this fabulous novel. 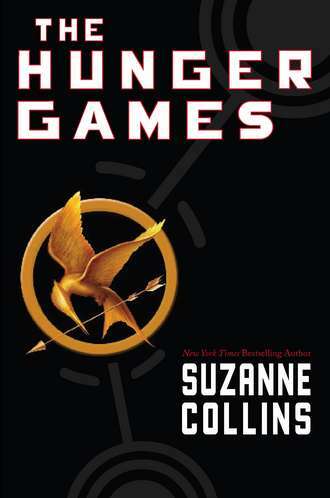 Blockbuster bestseller titles are normally very far down my list of books I feel compelled to read, but I was hearing such contradictory reports of this one, and the favourable reviews from trusted reading friends tipped the balance. Although the trilogy really is three parts of one story and should be read together to see the author's message fully realised, the first book was definitely stronger and more enjoyable reading than the two sequels. A new favourite author? I believe so. Atypically, I had already seen the movie based on Atonement when I read the book. I try to avoid this situation as often as possible. I also try to avoid Keira Knightly as often as possible, so I'm not sure what I was thinking. I did love the movie, and I loved the book even more. I am still at a loss to explain why or how I loved it, but it may have been my favourite new book and author of the year. 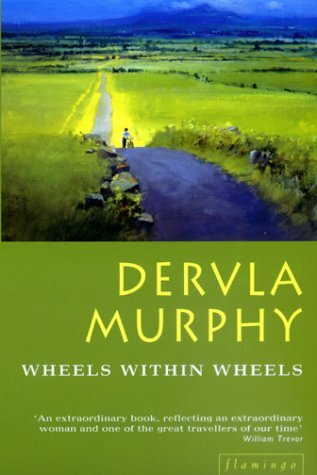 This is the first of Dervla Murphy's books I have ever read, and it was a wonderful introduction to a fascinating woman. I loved reading about her interest in self-education after she could no longer attend school, and the stark honesty with which she relates both the flattering and not-so-flattering aspects of her life. 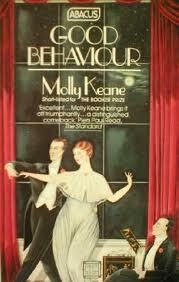 My introduction to Molly Keane. Written in the first person, Aroon St. Charles tells her life story as a member of the Irish Ascendancy within a family as disfunctional as any to be found in literature. Under the veneer of good behaviour all manner of nastiness and neglect occur - the very best sort of dark comedy. Although I never grew to love Aroon (I'm not sure we are meant to), I did understand her much better by the end of the story. A short novel with a small cast of characters in a limited time and space, this novel introduced me to a new favourite that I will be revisiting again and again. Written while the First World War was ongoing, and published in 1918, The Return of the Soldier is a captivating study on the nature of class, memory, adult responsibility, love and loss. There is so much packed in to this tiny book. I literally turned back to the first page when I finished it and read it all over again straight away - twice! I spent some time in Enniscorthy, co. Wexford, in Ireland many years ago, where I have relatives who took me in and fed me after I had been backpacking around Ireland for a couple of months. It is a place dear to my heart. But while the setting drew me to the story, it was Tóibín's calm and gentle story of a young Irish girl's acceptance of the path her life was taking that made me love it for itself. The descriptions of homesickness are the most realistic and poignant I have ever read. This brilliant little book was such a pleasure to read. I went into it with no expectations and no notion what it would be about. The characterisation was so strong that Freda and Brenda are still clearly delineated in my mind. Bainbridge's power over her craft is something awesome to behold. 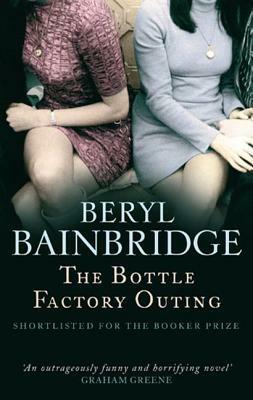 I am adding Beryl Bainbridge to my list of Must Read Authors. 11. City of the Mind by Penelope Lively Matthew Halland, a successful architect, lives in London and is going through the final stages of a divorce. He is a man who lives in his mind most of the time, so although not much happens in the way of a plot, this novel is rich and rewarding to read. I especially enjoyed the way Penelope Lively plays with the themes of time, and the investing and divesting of objects with meaning that happens constantly in the lives of the characters. City of the Mind was not the easiest read of the year, but it was a lot of fun to read. As often as I have read North and South, I feel I could never reach the end of learning from this book. I know that many readers find Margaret Hale a difficult heroine to like. I do not. I admire the grace with which Margaret makes a very difficult transition from girlhood to womanhood; I envy her ability to soldier on when all the adults in her life flake out on her; I identify with her family circumstances; I love how she learns how to open her mind and her heart to ideas and people who were previously abhorent to her. Like all the best characters, Margaret teaches me how to be a better person. What a wonderful list. I love Elizabeth Gaskell, Molly Keane and Rebecca West, and I have several book to read by Margaret Lawrence, so it's lovely to read such warm recommendations for her work. I hope 2013 brings you more wonderful books. Thank you for your comment! It is always lovely to meet those with similar reading tastes. 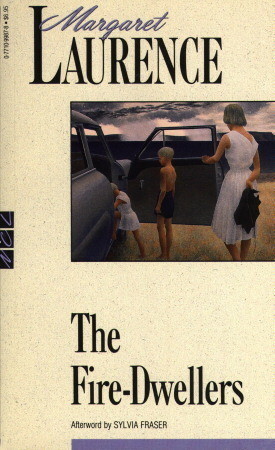 Let me know what you think of Margaret Laurence when you read her books. You have some of my favourite authors in your list. I love Gaskell & Lively, I'd like to reread COTM as it's one of PL's books that left me a bit flat first time around. 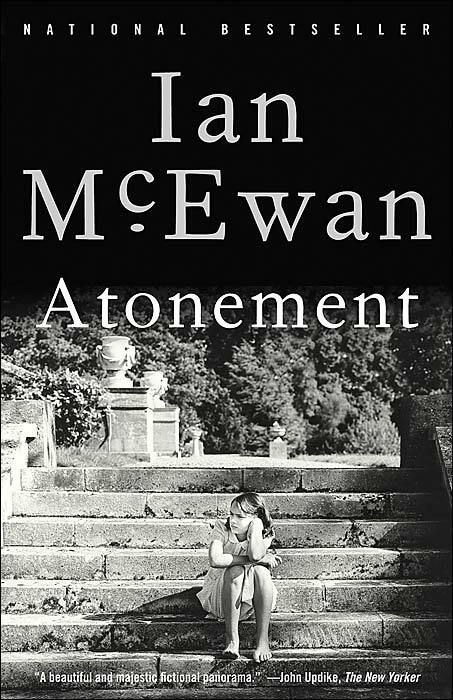 I also loved Atonement when I read it not long after it was published. 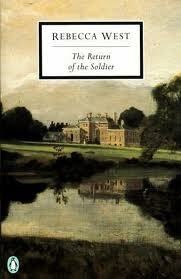 Also, Return of the Soldier is just perfect. Have you seen the 1980s movie with Glenda Jackson & Alan Bates? It's just wonderful. Happy New Year! Thank you, Lyn! 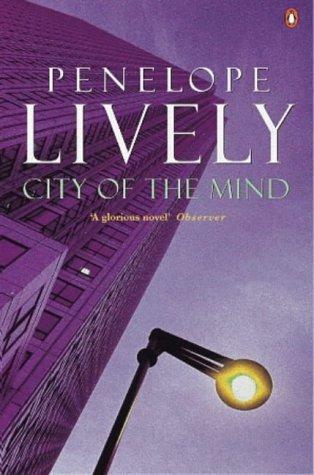 City of the Mind was my first Penelope Lively, but I am sure it will not be my last. It really made me wish I could live there and really get to know it, rather than experience it in short bursts as I have. Thanks for the film recommendation; I will definitely have a look for it. Happy New Year to you too.